Liverpool has a massive £25million a year contract with Warrior as their kit suppliers and New Balance being the parent company of Warrior sports, has agreed with Liverpool to use “New Balance” logo instead of Warrior on the next season’s kit. Of course there won’t be any change in the current agreement, New Balance just want to exploit new asian market having their logo on Liverpool kit. The new Liverpool New Balance home kit has been leaked for the upcoming 2015-16 season, The kit was launched at the anfield stadium on friday afternoon. 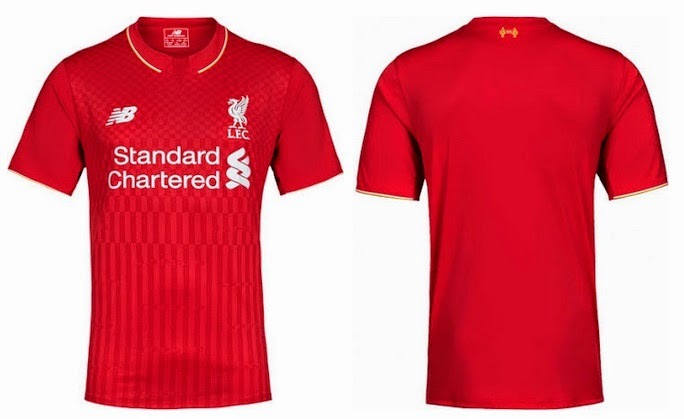 The new home kit for Liverpool has been released officialy by club today 10th April 2015. New Balance home kit comes in a all red colour design with white application.. The home shirt comes in classic Liverpool red colour with a chequered design in dark grey colour on front top half of the kit while we have vertical stripes on rest of the shirt. The collar is all new with new polo style and feature white and yellow color lines. 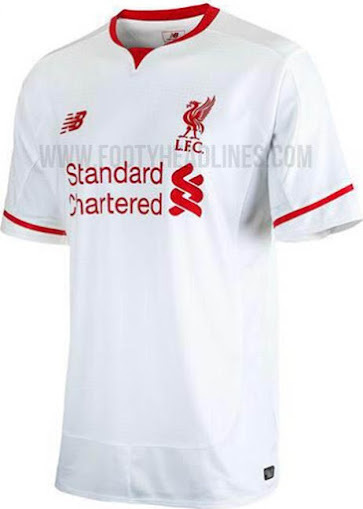 This is the new away kit 2015-16 for Liverpool which will be released during the 2015 pre-season tour of australia. 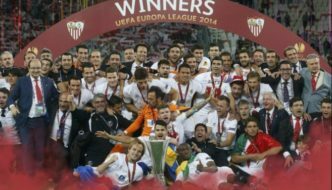 This new away kit features a simple white design with red application collars and a round striple on sleeves while the club, sponsor and new balance logos are in red as well. 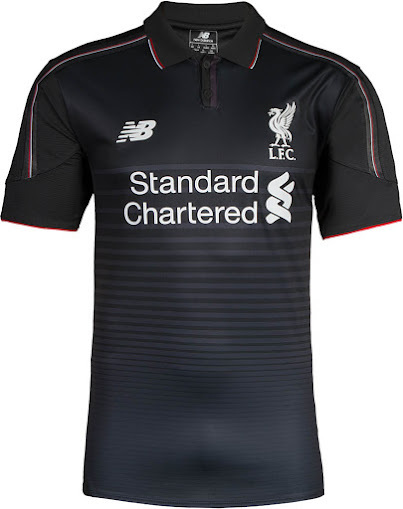 New Balance has officially released the new unique black third kit for 2015-16 season which comes in black as main colour with grey and red lines across the shirt, the collar of the kit is polo style making it a classy kit.